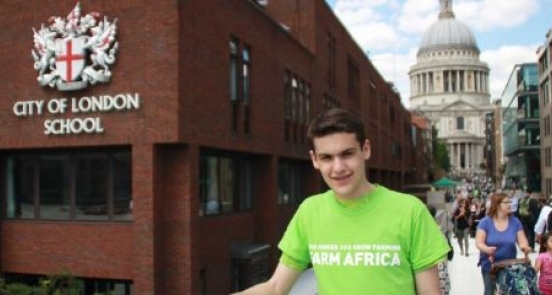 George Rosenfeld, a sixth former at City of London Boys School, told us why he believes that young people have a duty to fight poverty. As her sons start a new school year, Tara Carey, Farm Africa's Media Relations Manager, writes about how Farm Africa's work is helping African children get a good education too. In Africa, where 80% of agricultural production is by smallholder farmers, the majority is done by women in rural areas. To fight poverty effectively, we have to empower women economically. As World Water Week comes to a close, Farm Africa's Head of Agriculture James Mwololo reflects on the difference that good water management can make to farmers' lives.